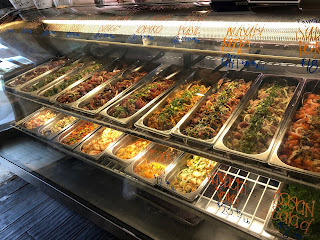 After reading about the poke at The Hibachi on Frolic Hawaii, we decided to try it this past weekend after a morning at Lanikai Beach. I had heard that their poke was good, but I was never motivated to try it until now. When you first enter The Hibachi, turn right and you'll see all of the poke options tastefully displayed. It's hard to narrow it down because they all look so darn good. 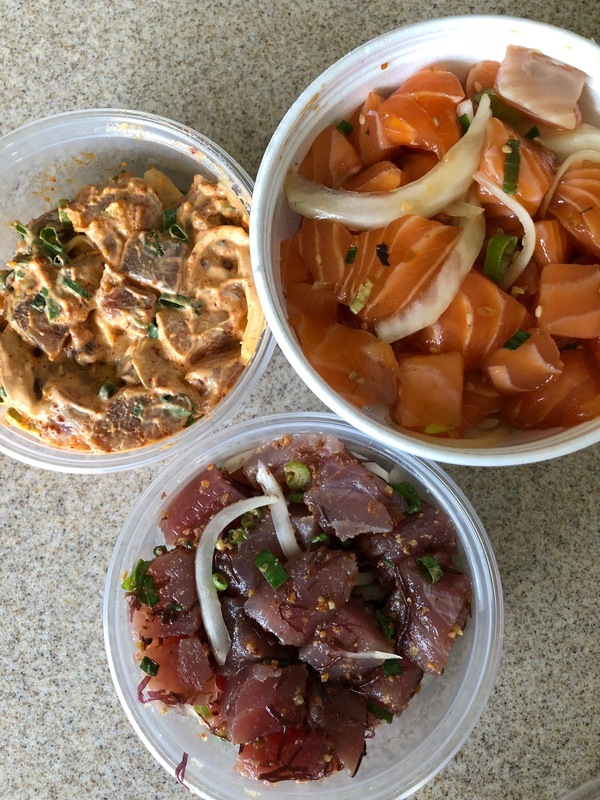 You can order poke ala carte (poke only), or as a poke bowl (choice of white sushi rice or tossed salad). I tried the salmon with ginger and onion as a poke bowl, and the hubby tried two kinds of ahi poke ala carte. 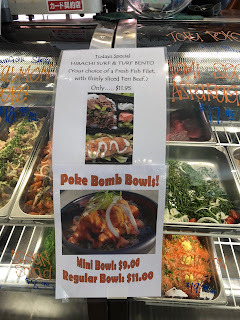 We both thought the poke was EXCELLENT - both in taste and quality! 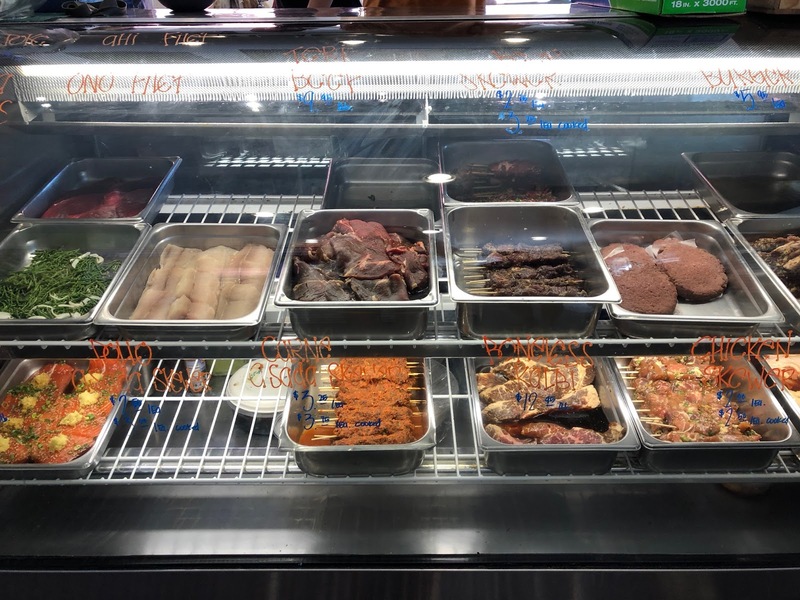 The Hibachi is also known for their skewered meats, which are made to order. We will try these on our next visit.